They are kinda cute. But a bit of a waste of space. Depends what they put in their place as to wether I support. The applicant is advised that the Council’s Environmental Protection Officers have expressed concern that the remediation agreed at this stage in relation to the demolition of the gasholders and associated structures could not be altered to make the site suitable in the event that a more sensitive (e.g. residential) use is proposed in the future. The Council’s Environmental Protection Officers comments are non sequitor and are observations, NOT new conditions. The conditions referred to in the July approval that are pre-commencement conditions have now been fulfilled. The demolition works can commence. The reports will be prepared during the currency of the works and will be submitted to the authority at the appropriate time. I think the current issue is that while they have the right to demolish the gasholders, a large amount of land they plan to develop is being reassessed as potentially legally protected curtilage. The satelite structures of a listed building, in this case, bowling green pavilion, sports ground and tennis courts, all have the same protection as their parent listed building. We are waiting for Historic England to rule on the extent of the Hall’s curtilage. It’s all incredibly complex and technical, but HE decide on all cases. If half the available land is ruled out of contention, then the costs of dismantling and cleaning up after the gasholders become less appealing, and the plans would in any case need a complete revision. Seems it’s finally end of the line for the stubborn old gas holders. As you may already be aware, we will be starting a programme of work to dismantle Sydenham’s redundant gas holder. I would like to provide you with the following brief introduction to the project and some key information you may find useful. Major investment into gas distribution has resulted in changes to the way we now store gas. Gas previously stored in holder tanks is now more efficiently stored underground in the gas pipe network. The majority of holders in the UK are no longer operational, their ageing structures continue to require significant maintenance to keep them in a safe and visually acceptable condition - it’s not a sustainable option to maintain these redundant structures long term. From an environmental perspective, we are keen to see the land the holders occupy regenerated to provide a benefit to the community in the future. We will be taking the holder structure down and leaving the ground where it currently sits level, there are no plans to excavate the land beneath. We have carefully appointed specialist contractors Keltbray Group whose priorities are to deliver this project safely with minimum impact to the local community. Noise, odour and dust levels will be closely monitored, with appropriate suppression systems in place wherever possible. Hours of work: Monday – Friday 8am to 6pm (contractors may be on site from 7am setting up), Saturday mornings as required. We appreciate that to many these industrial structures represent a visual reminder of your local town’s history. As part of the wider dismantling programme, we are committed to working closely with communities to ensure the history of your holder is captured for future generations to learn from. Phase 1 of the historic building recording report has been prepared and a copy provided to the Council and Phase 2 of the report will be completed during the dismantling phase of the project. Please share this information with anyone you think may be impacted by our work. Thanks for sharing @AidenH - I notice that brilliant photo is by @JamesEvans (James, are you okay with Aiden sharing it here?). 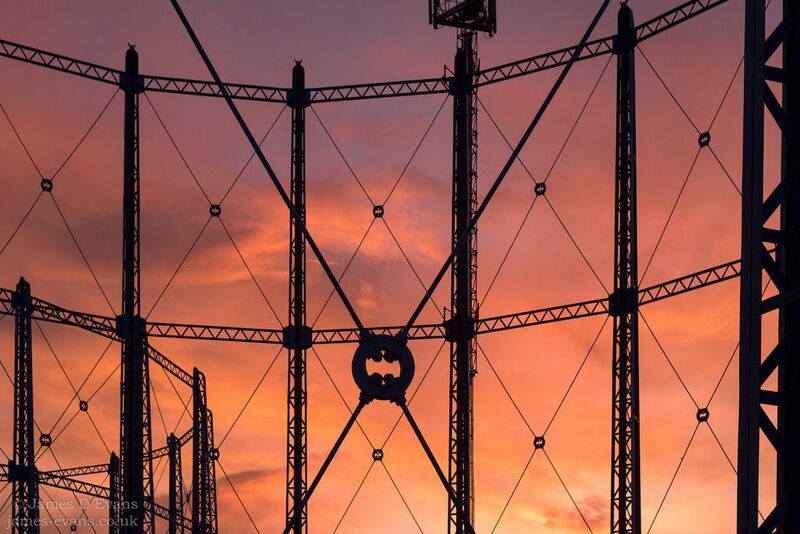 End of an era for those gas holders! Rumbled!! My bad @JamesEvans I didn’t see the watermark when I grabbed the photo from the web. Apologies. If you don’t want me to use it I will edit it out. How do people feel about the demolition? @se26life A structural record of the holders @BellGreen has been undertaken before demolition started. As the structures are being dismantled, this record is to be supplemented by specific detailed recording. We are waiting for Historic England to rule on the extent of the Hall’s curtilage. It’s all incredibly complex and technical, but HE decide on all cases. Has there been any emergent evidence of progress or even any acknowledgement by HE that this is an issue that is being considered by them ? It’s fine. Thanks for asking. This simply doesn’t make sense unless they mean that the ground is so toxic that when the area is sold to a developer, it will have to be cleaned up before being built over. Even then, it would be a removal of a detriment not a “benefit”, per se. I thought that was a bit of a surprising line given that there is still plans for a planning appeal to allow them to build a large A1 grocery store on the site. While we are keen for the land to be regenerated to provide a future benefit for the community, we are only dismantling the holders and will be selling the land to a developer. These developers will put together and submit their own plans for the site and any future development, and we do encourage them to consult with the community to take the real needs for the area into account. In other words that line in the statement was meaningless and without any real substance. Can’t seem to find the event that resulted in cars being parked in bus stops and on pavements last week. I actually did see someone in a wheelchair trying to get up and down kerbs around Ardley Close. Most if not all of the events at the last months have been large scale funerals or weddings. They can happen as frequently as three to four times per week. Part of the normal cycle of events and business for this social club. The parking issues you describe were planned to be alleviated by the provision of parking spaces to the rear of the Livesey Hall - all temporarily dismissed by the rejection of the planning application. We await the restitution of these benefits as part of a potentially successful Inquiry by the Planning Inspectorate in 2019. We recognise the historic and cultural significance of the gasholders at Bell Green for Sydenham. On 26 July 2018, Damien Egan, Mayor of Lewisham, wrote to Southern Gas Networks (SGN) to make it clear he did not want to see the gasholders demolished as any part of the development on the site. It is disappointing that SGN is yet to respond to this letter and the mayor will be writing to them again to raise further concerns since raised by residents. We are unable to prevent the demolition of the gasholders as they are not statutorily listed or within a conservation area. Their demolition can take place under a permitted development process - prior notification of demolition - where the only consideration upon which we can make our decision is the method of demolition. Under this process, the heritage significance of the gasholders is not a valid consideration. On 11 April 2018 the Council initially refused prior approval for demolition as the details submitted in respect of traffic management, method of demolition, and remediation of contamination were inadequate. SGN submitted another application resolving these reasons for refusal and this was approved on 11 July 2018. An application was made to Historic England to statutorily list the structures. However, in April 2017 Historic England confirmed that, given the large number of gasholders throughout the country, the threshold for special interest is high, with only 16 designated examples in the country. It was considered that the Bell Green examples were not more exemplar than other listed examples found in London and the rest of the country and therefore were not statutorily listed. During this period the applicant applied to Historic England for, and was granted, a Certificate of Immunity from listing. This prevents Historic England from listing the gasholders for a period of five years. 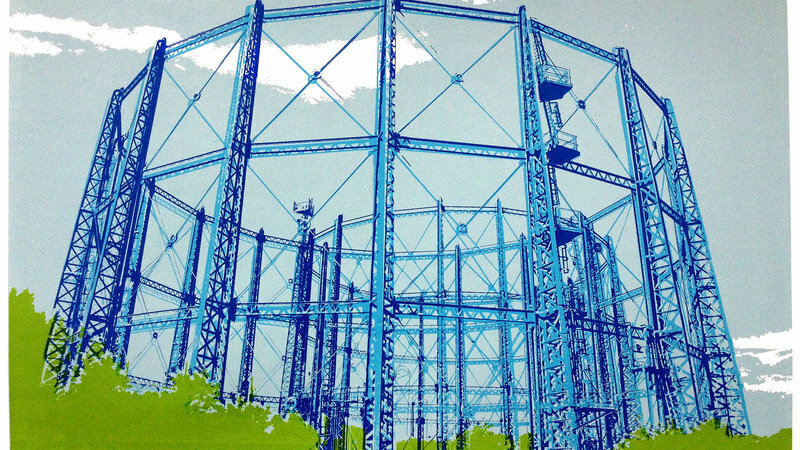 On a local level however, the Council do consider the gasholders to be of significant historic, social, and architectural value to the borough of Lewisham, representing a tangible industrial heritage within the borough’s wider townscape and skyline. For these reasons, we have locally listed the structures as non-designated heritage assets on our Local List. The significance and importance of the gasholders is detailed in the mayor and cabinet report of 25 October 2017 which approved their local listing. Much work has gone into recording details of the gasholders, and producing plans and images for the Historic Environment Record, and these will go on the public record in due course. This was secured by us as a condition of the prior approval for demolition application. It is worth noting as well, that any further historic information can be submitted to the Historic Environment Record by anyone, and we would encourage those who hold any information to send it to the record or to the Council’s local history and archives centre. SGN are open to retaining part of the structure on site to acknowledge the heritage of the gasholders. We are very supportive retaining part of the structure and has begun a dialogue with SGN as to the feasibility of this. Lewisham Council consider the bowling green and tennis courts to form part of the curtilage to Livesey Hall, a Grade II listed building. However, there would not be any basis for us, as local planning authority, to require that SGN to delay demolition of the gasholders until it has a planning permission for development of the wider site. This is a decision for the landholder. We are expecting SGN to withdraw its planning appeal relating to the application refused by the Council in November 2017 for a retail store (Aldi) and SGN offices to be developed on the site of the gasholders and bowling green. This is because permission has recently been granted for the change of use of the former ‘Toys R Us’ unit at Bell Green to a food retail store for Aldi. The withdrawal of the appeal removes the current risk of redevelopment of the bowling green and provides an opportunity for us and SGN to work together on a masterplan for the site. We are fully aware of the concerns of residents about the future of the gasholders at Bell Green, and look forward to working with the community to secure the future of the site. This is particularly in the context of the need to deliver much-needed affordable housing for local people, along with the new draft Local Plan, which will be going to public consultation early this year. The work that SGN is set to start this week (7 January 2019) is for site set-up and other preparatory works, with actual dismantling of the gasholders not due to start for a few months. Hat tip to @Michael for spotting this page. “masterplan for the site” ??? Well the whole of Bell Green currently looks as if it has been cobbled together by a committee charactertised by poor taste, indifference to local needs (especially pedestrians and those who like to breathe easily) and few resources- are we being led to expect something better? Why? Will different people be taking the decisions?